Price is definitely one of the key factors when looking to buy any sort of product or service, including ancestry DNA tests. 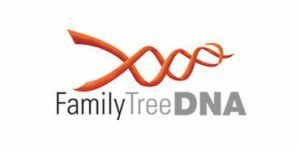 Family Tree DNA is one of the “big 5” providers of genetic ancestry testing solutions and it’s conveniently known for its budget-friendly pricing policy. Its price-to-quality ratio will be the focal point of our today’s post. 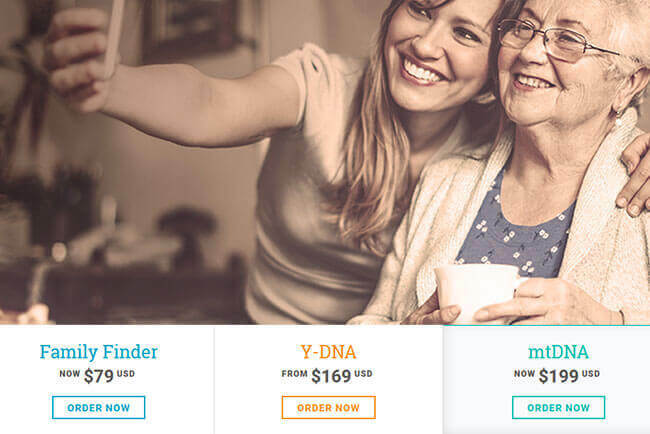 If you want to learn more about Family Tree DNA’s ancestry testing portfolio and the price tags attached to every specific option, keep on reading to find out whether the company can offer something that will fit your monthly budget. Family Finder (79.00$) – This is the main autosomal ancestry DNA test offered by Family Tree DNA. It focuses on the first 22 pairs of human chromosomes, leaving the final pair (gender chromosomes) to other testing options. The test itself is designed to provide you with a detailed geographic and ethnic breakdown of where your genetic ancestors came from (MyOrigins). It will also compare your DNA to genetic materials found on archaeological dig site all across the European continent and tell you more about the migration patterns of your ancient ancestors (ancientOrigins). You will be able to refine your matching experience by grouping your genetic matches by paternal and maternal lines. Finally, you can use the service’s advanced tool called Chromosome Browser to compare specific DNA blocks with your genetic matches. Father’s line – This testing section provides solutions that check your Y chromosome and allow you to connect to your genetic matches, access numerous group projects and contact lineage experts free of charge, attend free webinars, and receive personalized customer support. You’ll also receive automated updates to your final results. Depending on the number of genetic markers checked, the tests in this group include Y-37 (169.00$), Y-67 (268.00$), Y-111 (359.00$), and Big Y (500 markers; 799.00$). This group of tests reaches 340,000 years in the past. Mother’s line – This testing segment allows you to explore your maternal lineage by testing your mitochondrial DNA. The results are pretty much the same as with the previous group, but they reach only 180,000 years in the past. The available testing options include mtDNA Plus (89.00$) and mtFull Sequence (199.00$). Since female DNA doesn’t include the Y chromosome, all tests and testing bundles incorporating Y DNA exploration are exclusively available to males.